Lemax The Grand Carousel sights & sounds miniature table piece depicts a traditional musical fairground carousel ride, enjoyed by children and families alike. 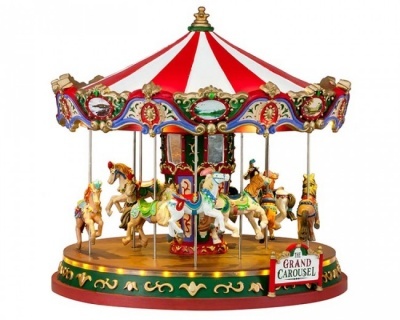 Wonderful carousel horses rise and fall as the carousel revolves to the traditional carnival organ soundtrack, with illumination inside and out. Suitable for placement in and amongst a seasonal Lemax village scene. A real spectacle and all year round centrepiece for a Lemax Caddington Village themed display. A recent addition this showpiece collectable model joined the growing Lemax collection in 2018. 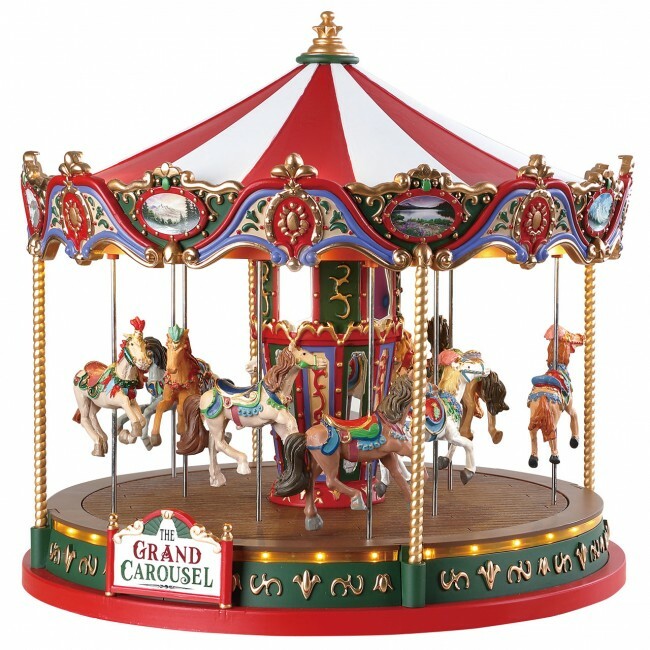 Santa Carousel offers a delightful self standing carnival model on an individual base to compliment your seasonal Lemax Village.